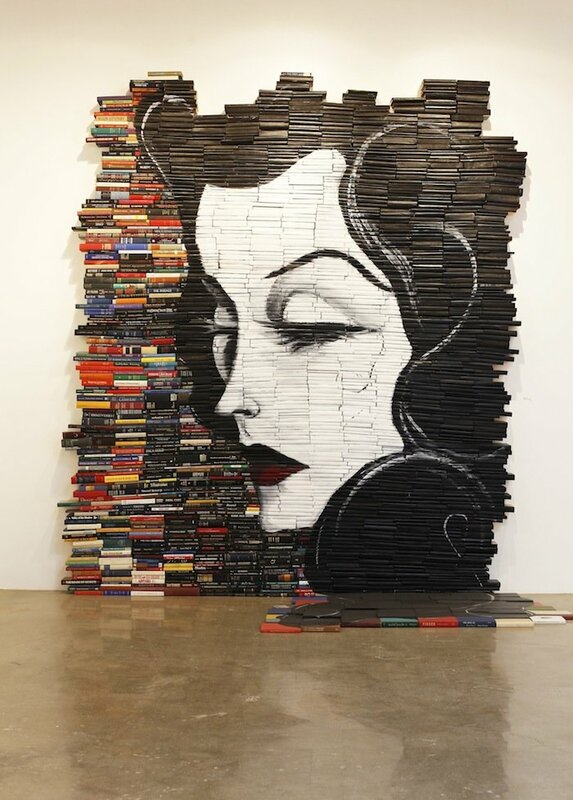 The 25 contemporary artists featured in Art Made From Books (forthcoming from Chronicle Books) may use similar materials, but their work exhibits extraordinary range—themes that range from nostalgia and the passage of time, to history and nature, to the boundaries between sculpture, painting, and text. Below is a sample. Mike Stilkey, Reminiscent, 2010. 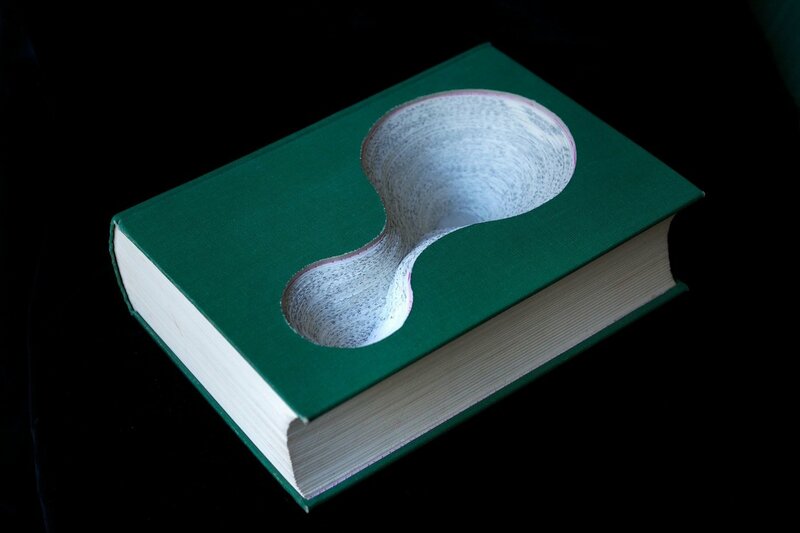 Acrylic on books. Installation at Hurley International, Costa Mesa, California. Noriko Ambe, Flat Globe "Atlast," 2006. Nicholas Jones, Australian Book Year 1969, 2010. 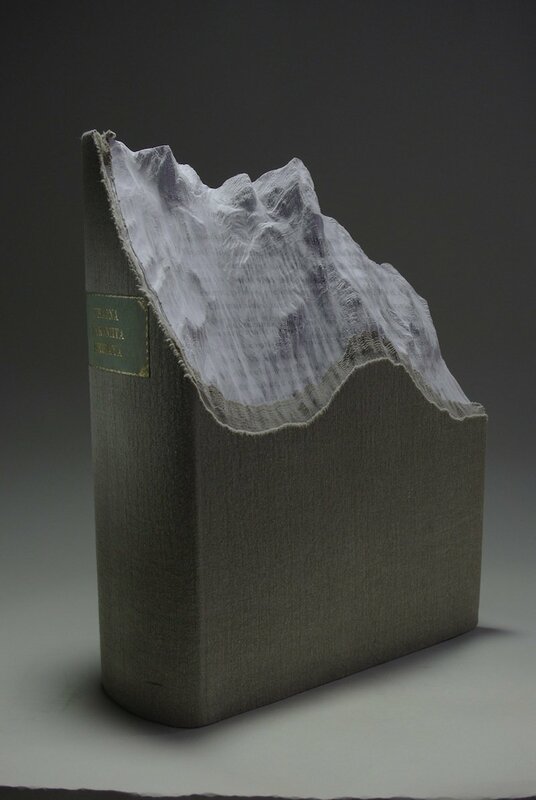 Cut book. 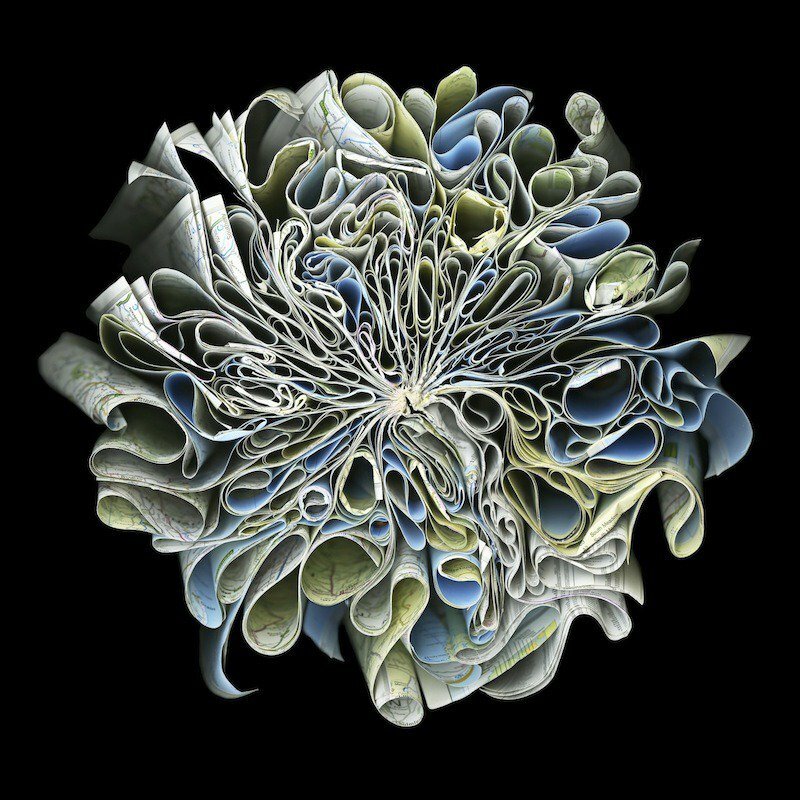 Cara Barer, Explorer, 2011. Archival pigment print on rag paper. 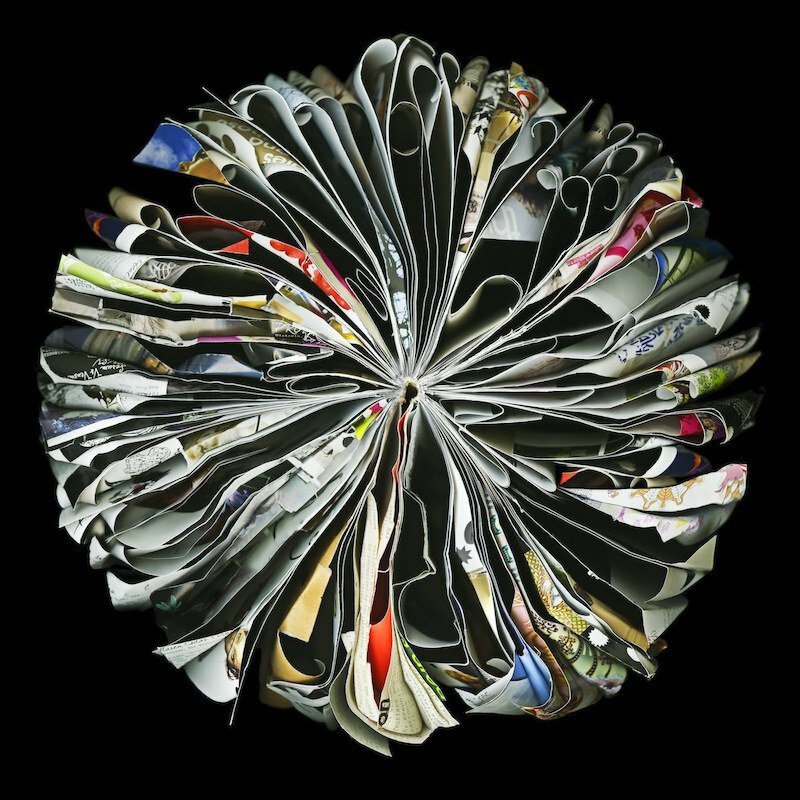 Cara Barer, Fashion, 2011. Archival pigment print on rag paper. Mike Stilkey, Birds Attack Man on Bike, 2010. 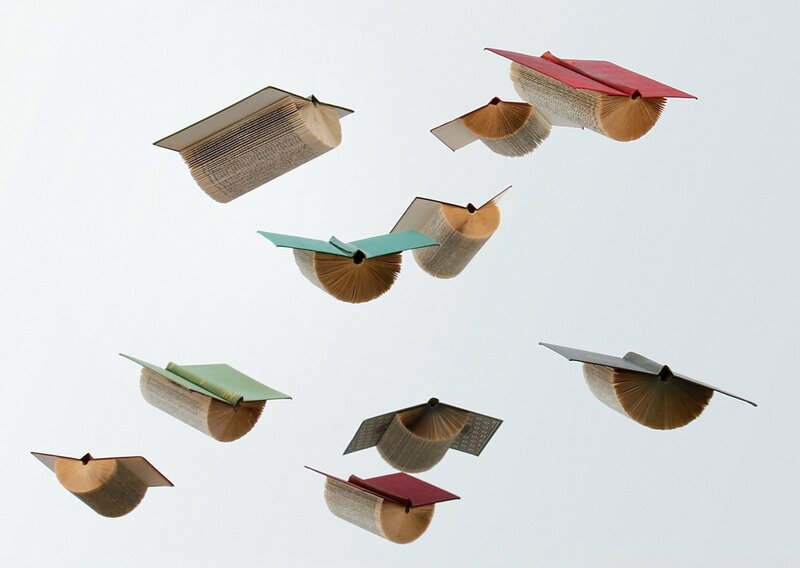 Acrylic on books. 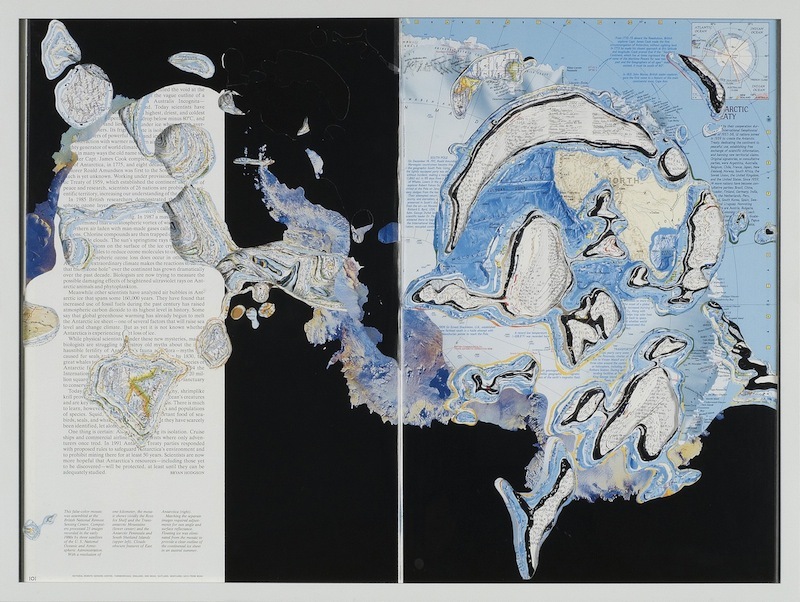 Vita Wells, Flights of Mind, 2012. Books, filaments. Installation at Oakopolis Gallery, Oakland, California. James Allen, Skulkduggery, 2012. 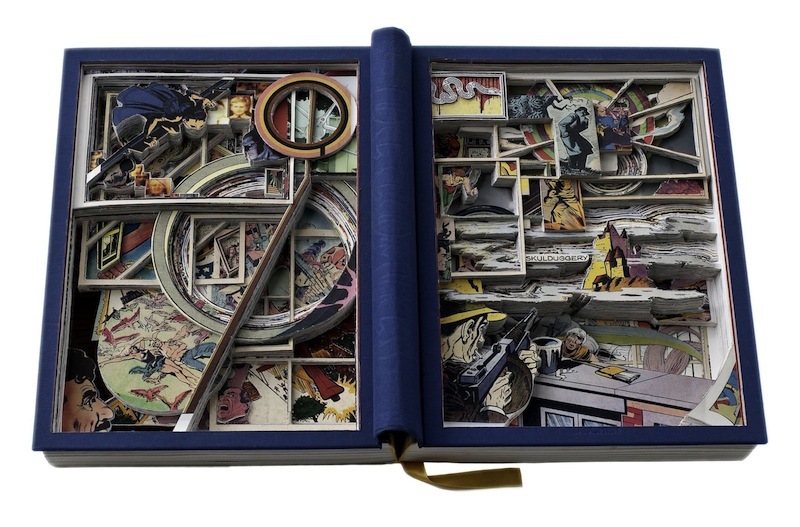 Made from 75 Years of DC Comics: The Art of Modern Mythmaking. Guy Laramée, Pajna Paramita, 2011. Made from a Buddhist Sutra, bound by the master binder Clément Poirier. 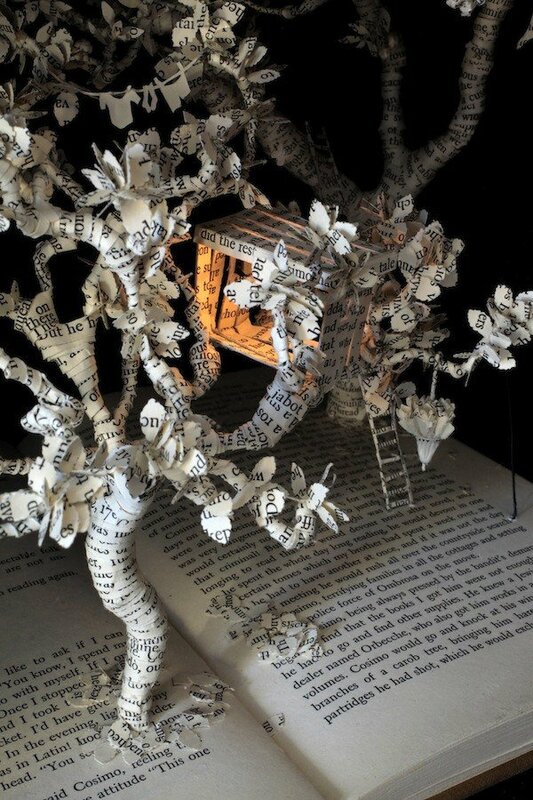 Su Blackwell, The Baron in the Trees, 2011. Secondhand book, lights, glass, wood box. 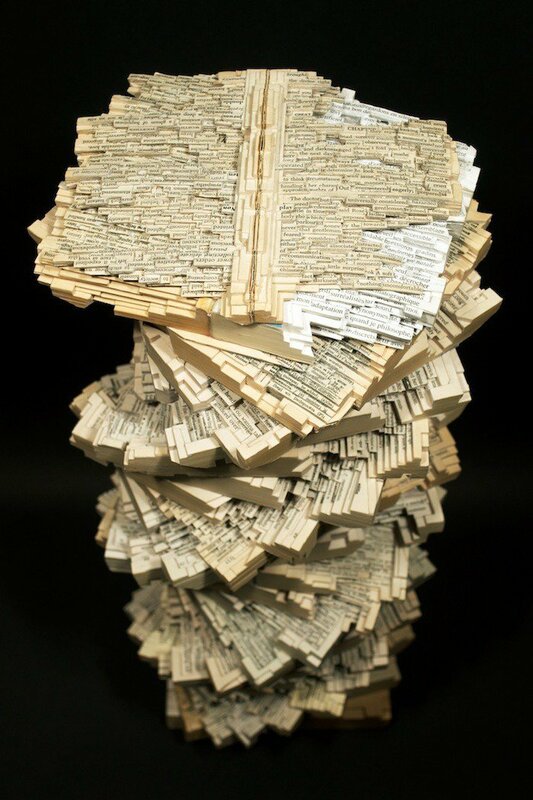 Brian Dettmer, Tower of Babble, 2012. 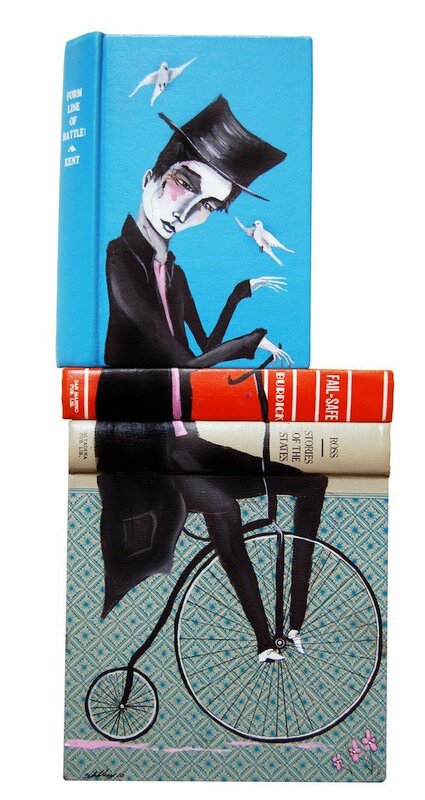 Paperback books, acrylic medium. All images courtesy of Chronicle Books.